We being the software development leader in London, UK specializes in delivering the best retail management software solutions to our wide range of clients. We enable the retail businesses to sell the products over a smooth managing software which help them in quality delivery and better business management. We provide the complete custom retail management software for all kinds of retail stores. From pharmaceuticals to apparels, we are expert in developing all sorts of Point of Sales software (POS) to meet the diverse needs. 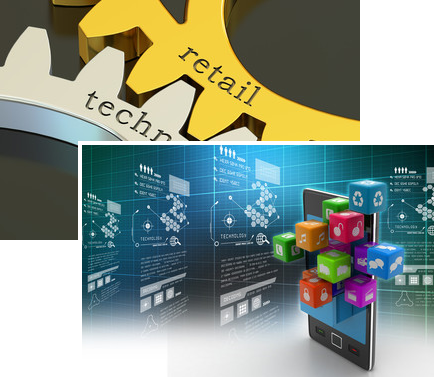 Our expert team for retail software development has the best custom solutions for any kind of retail billing software. Their customization skill and technological expertise can render the wonderful custom retail apps to make your business process smoother and accurate. We offer trusted software solution regardless of the retail business size and our software help the businesses in meeting their real objectives. 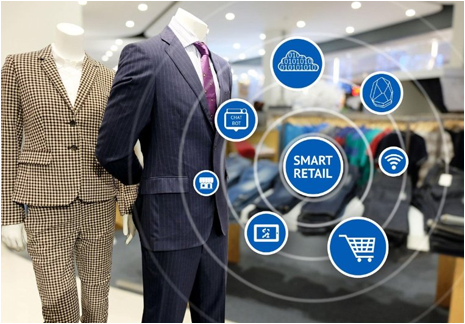 We provide the diverse solutions for global retailers which are in need of feature-rich retail software to maximize the business potential in a full-fledged way. We have the fully flexible solutions which get customized as per the business nature and clients' purpose of software development. What are the advantages of computerizing a retail store? Retails stores are the most preferred destination for the wide range of customers. A retail management software helps a store owner in managing the goods stocks, sales data, staff performance, targeted marketing, invoice generation and inventory control too. There are dedicated retail management software which are customized to meet the requirement of the store owners as per the business nature. How can I get the best-customized management software for my retail store? To get the best software solution for your retail business, you need to hire the dedicated professionals belonging to a leading software development company. As per your required implementation and the business nature, the expert professionals will let you know about the various solutions they will offer to you. Would I be able to manage the dashboard at my end? Yes, of course, with a customized retail management software you can manage all affairs of your store with a single admin dashboard. You can check and update stock, channel specific stocks and also control multichannel stores form a single comprehensive dashboard. With a little bit of training by the expert professionals, you will be surely able to manage everything at your own end. Why is retail management software being popular for handling businesses at one go? With the help of retail management software, the businesses are able to track the daily insight of the store. The store owner can figure out the popularity level of the particular products that can help him in stock maintenance and generating huge revenues. Managing and operating a store become fast and hassle free with a customized retail management software.